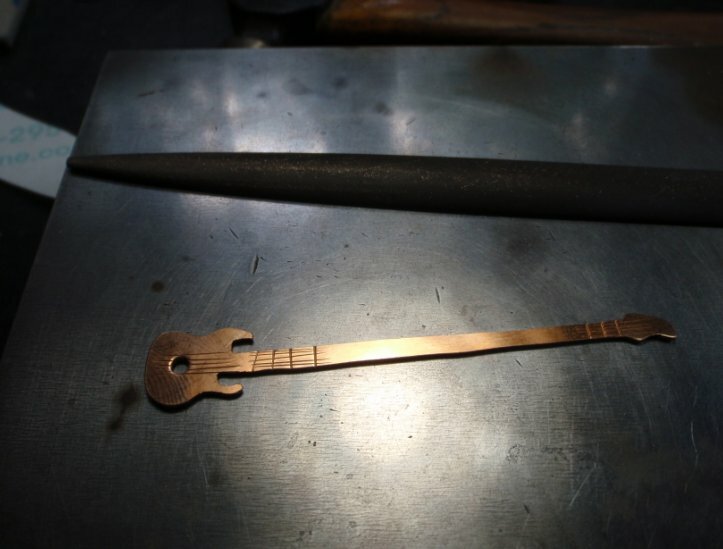 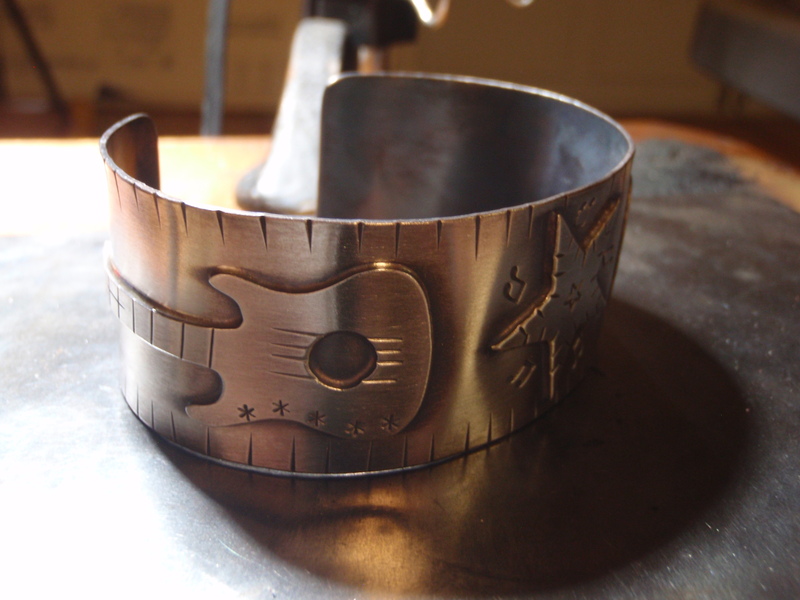 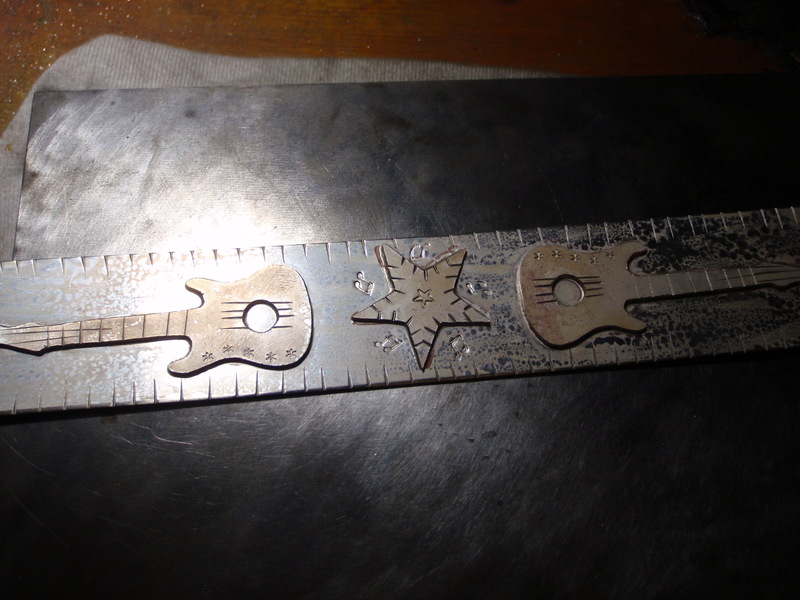 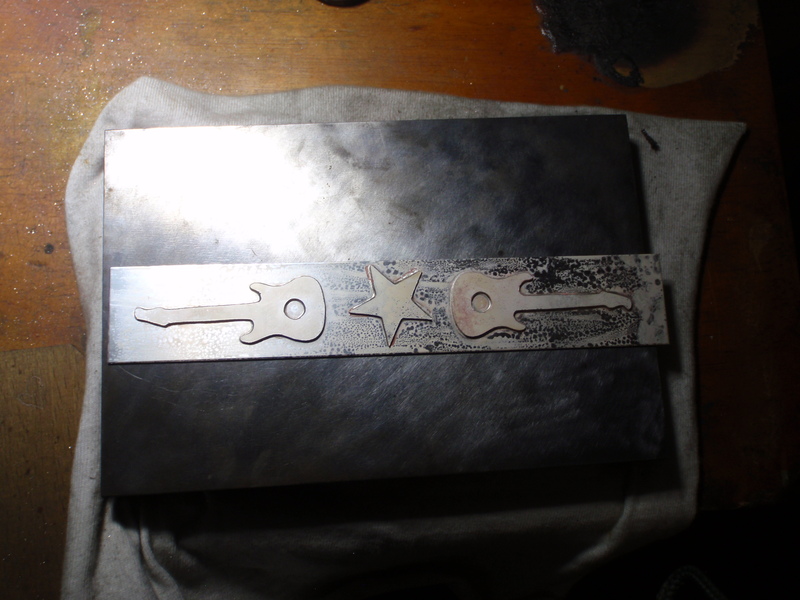 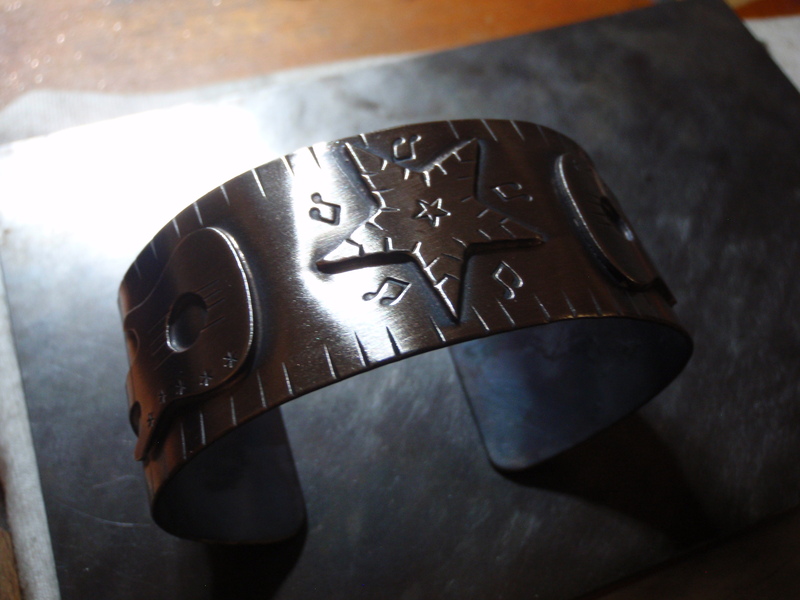 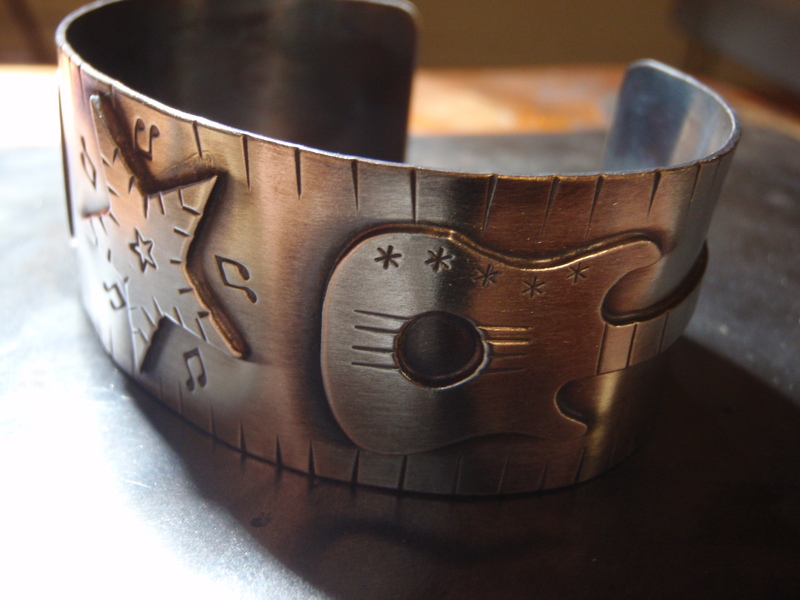 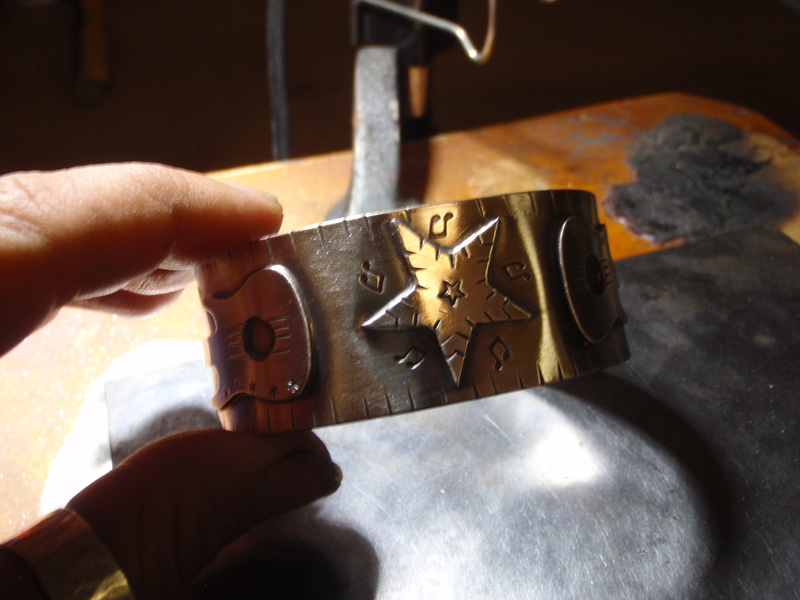 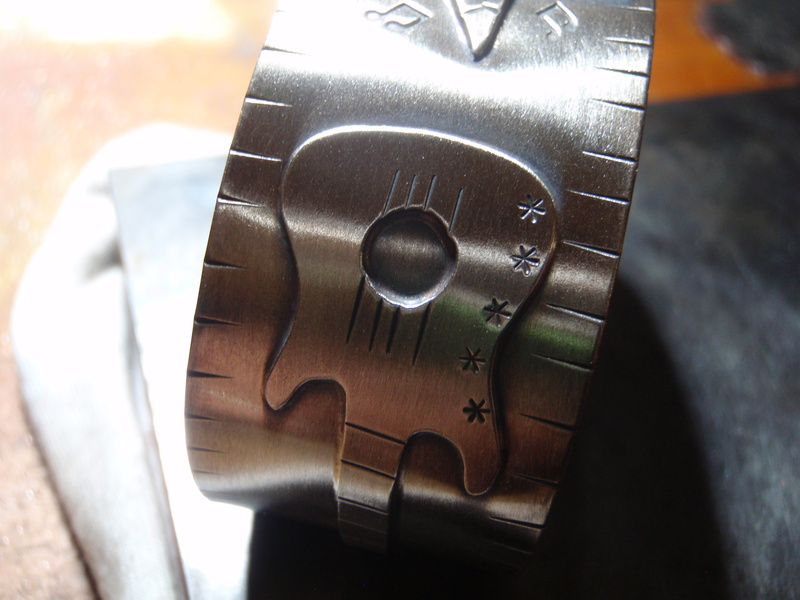 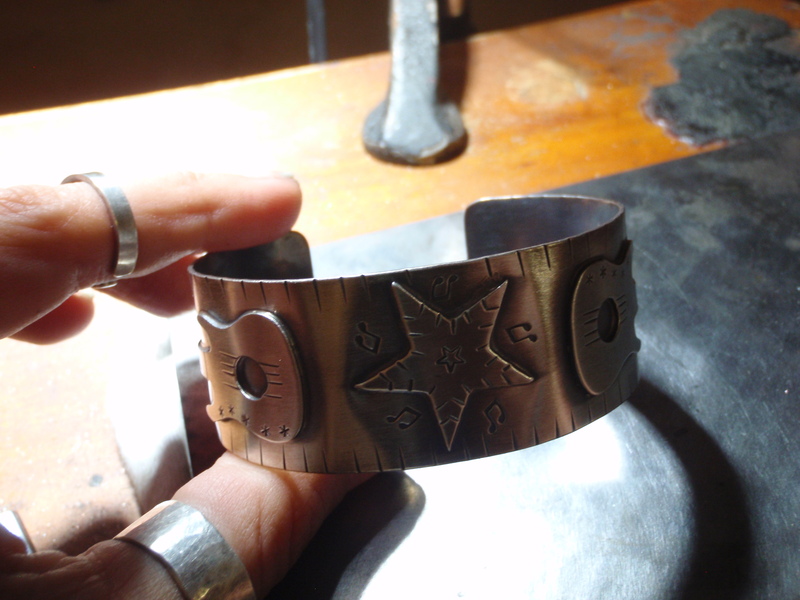 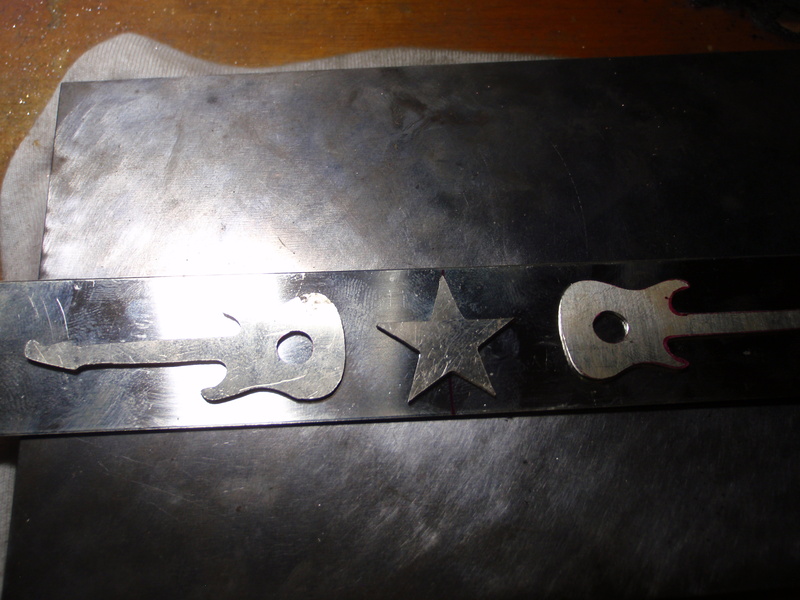 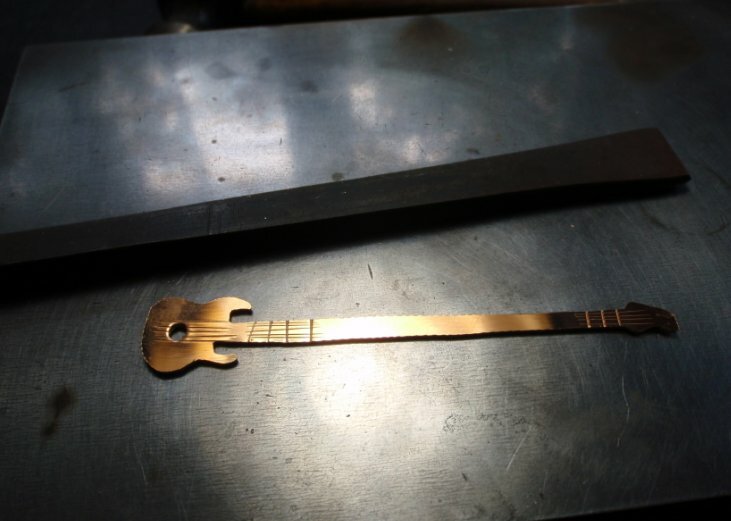 I used a 20 gauge 6 inch by 1 1/4 inch strip of sterling silver for the base and 18 gauge sterling silver for the guitars and the star. 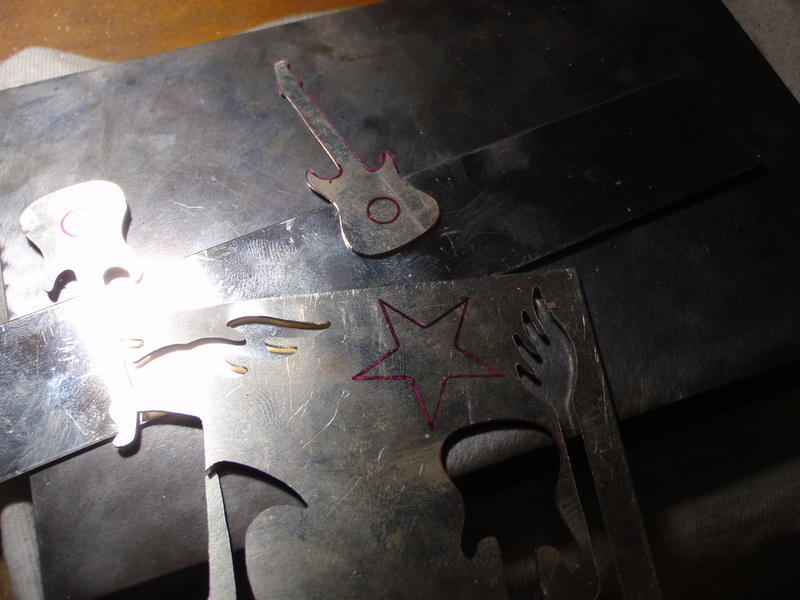 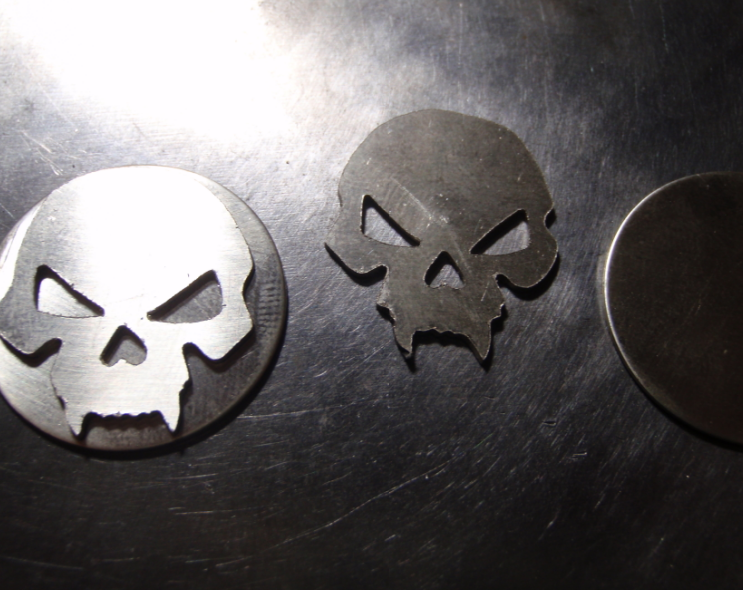 The shapes were cut out with a 6 inch jewelry saw and 1/0 saw blades. 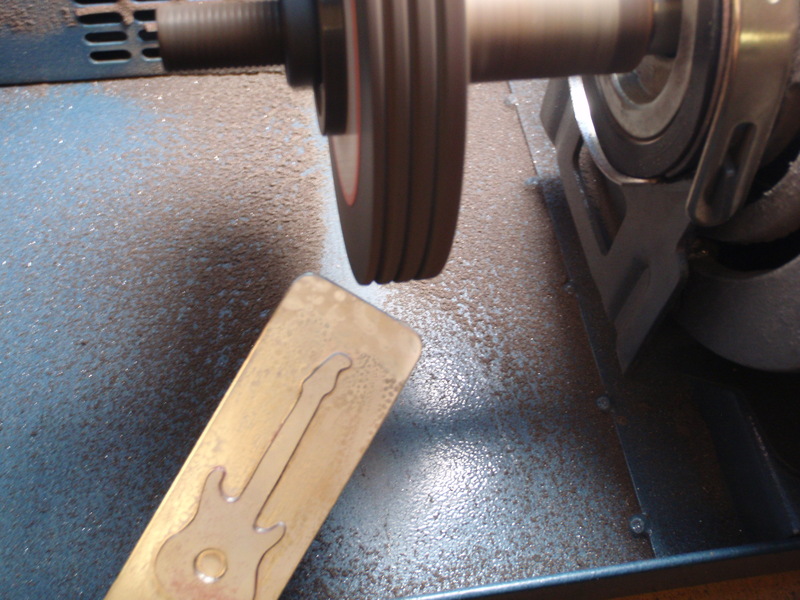 Personally I prefer the german saws and saw blades as I found the quality to be outstanding , but I might be biased because I am german. 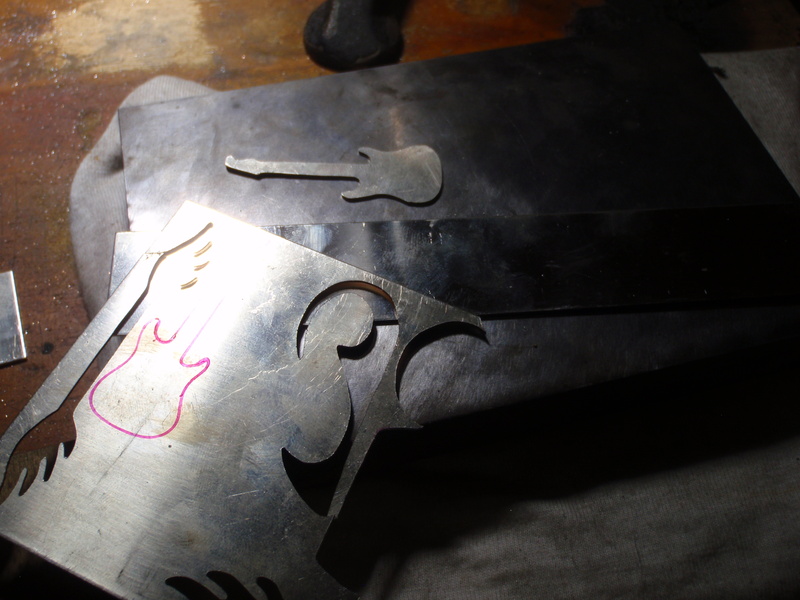 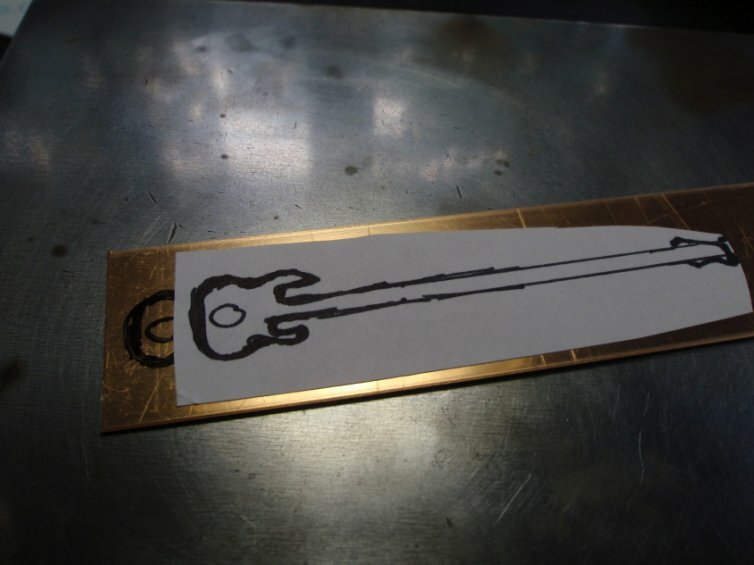 I used a template to draw the guitars right on the metal and then sawed them out . 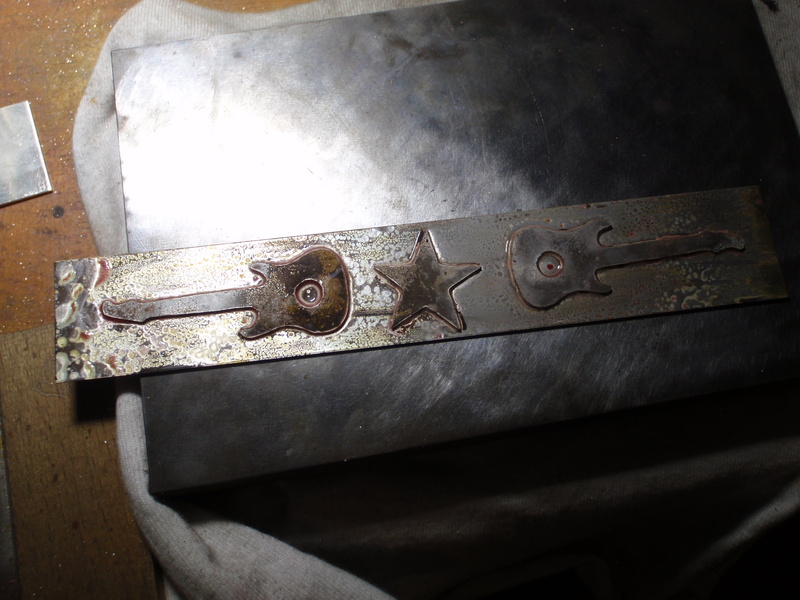 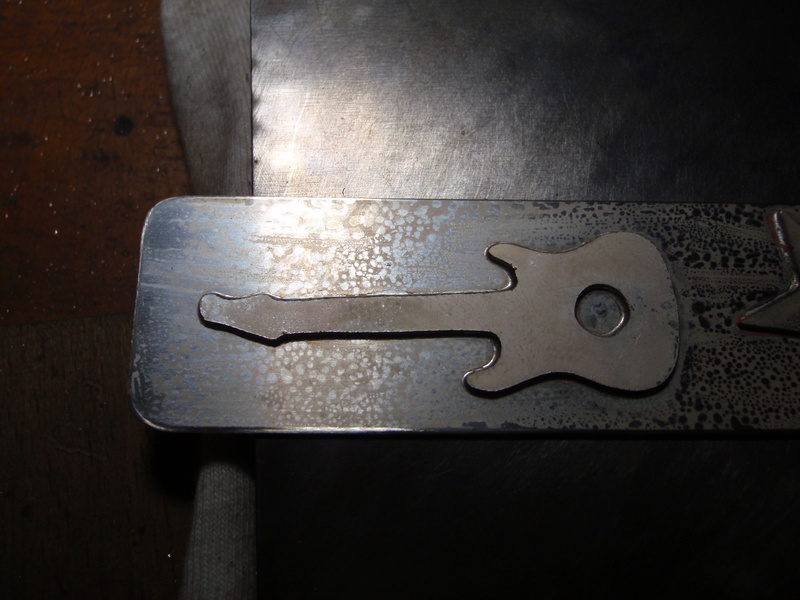 After sawing out the shapes they were soldered via sweat soldering onto the base strip then quenched in water and after that put in the Pickle pot to clean the metal from the black oxidation. 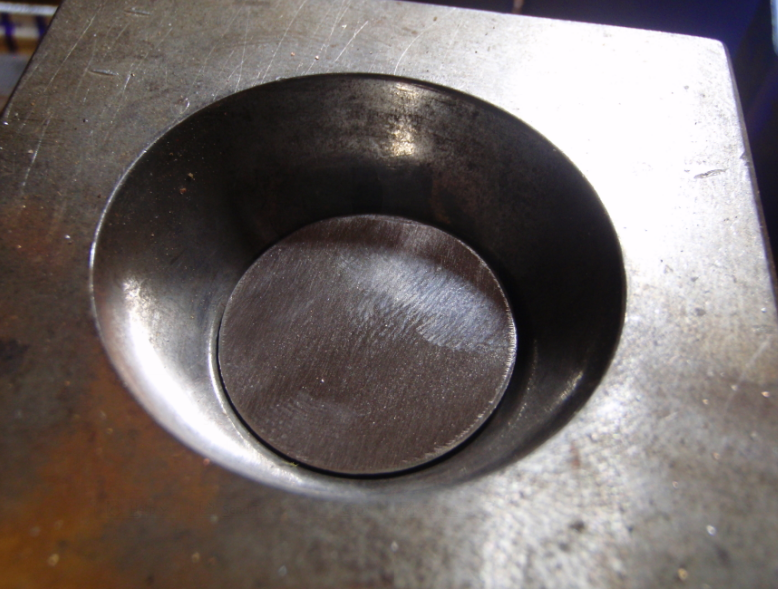 I used an abrasive wheel to quickly file and round the edges – Cratex Medium wheels work very well for that . 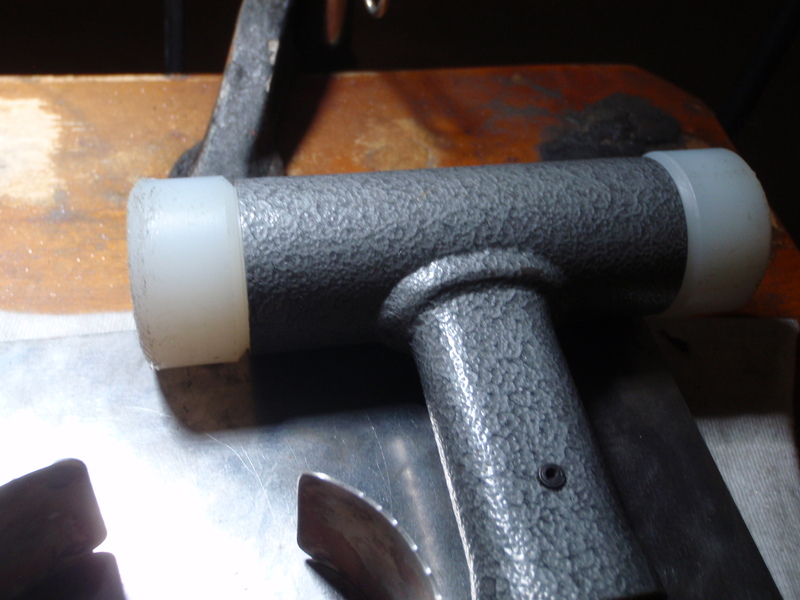 I like to use my polisher with the wheels because its fast and if you run a business you need to be fast but also have a high quality . 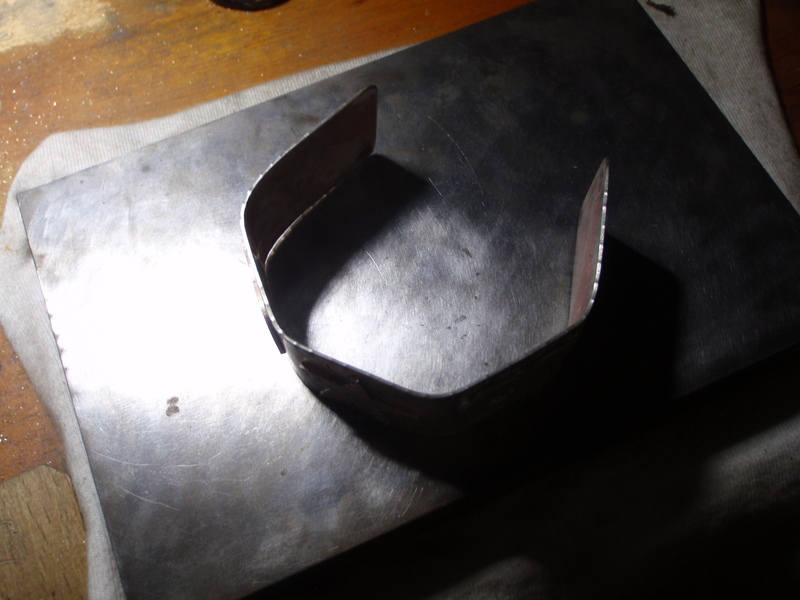 I cut down my filing time from about 20 minutes to about 30 seconds . 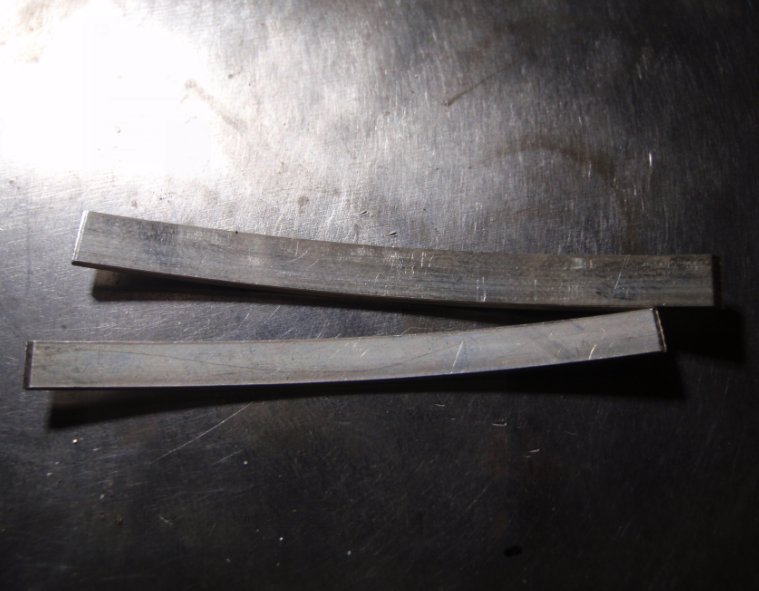 When you are finished with filing you edges you can add texture . 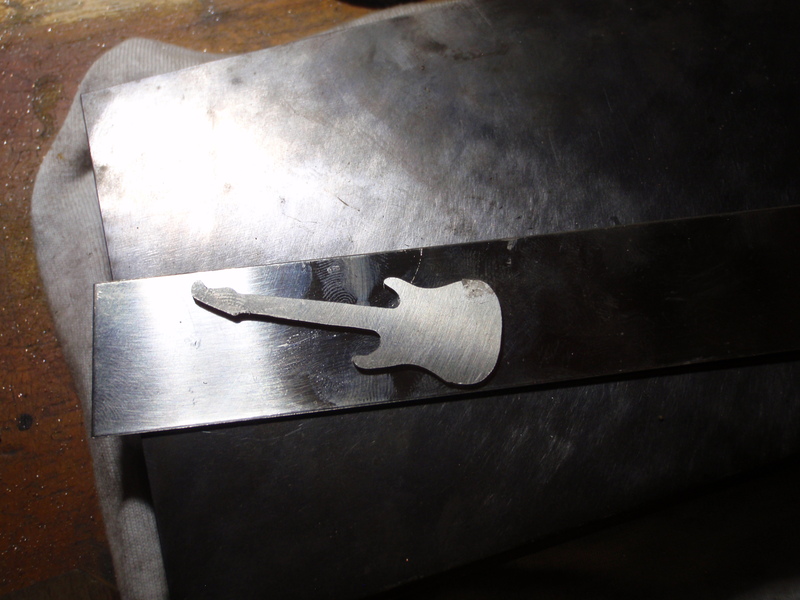 I have several chasing tools made from hardened steel but I also use screw drivers and other things. 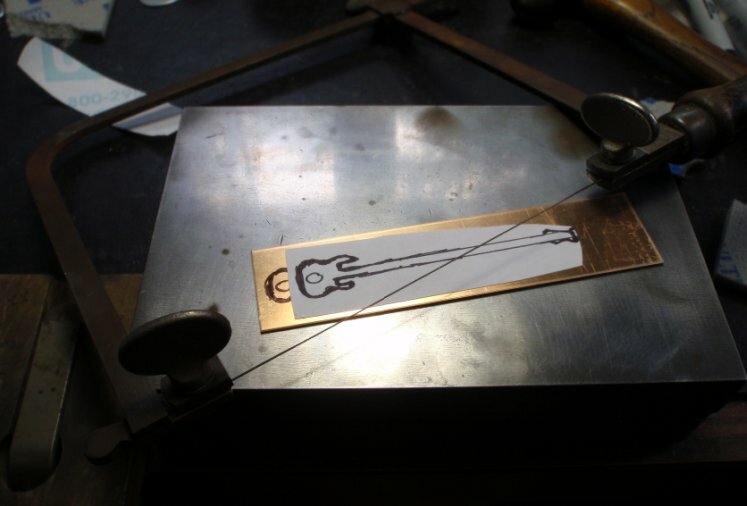 Now comes the bending part . 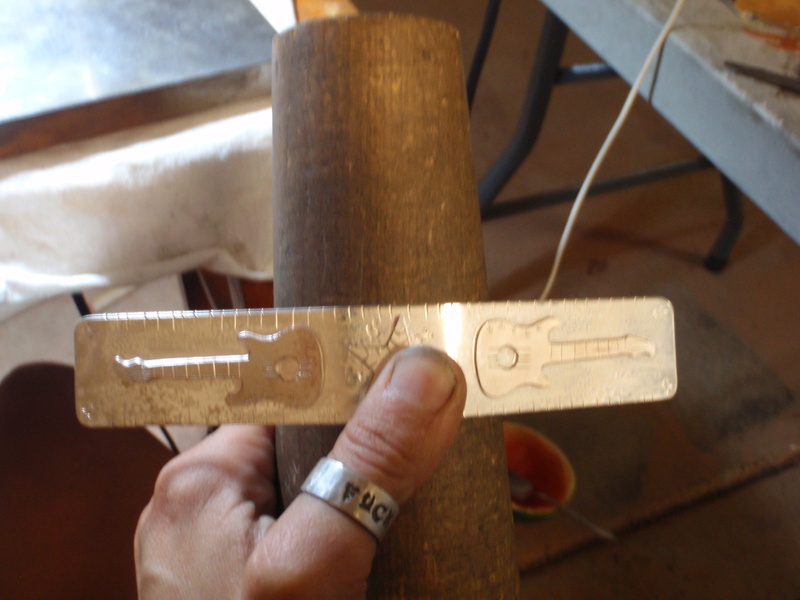 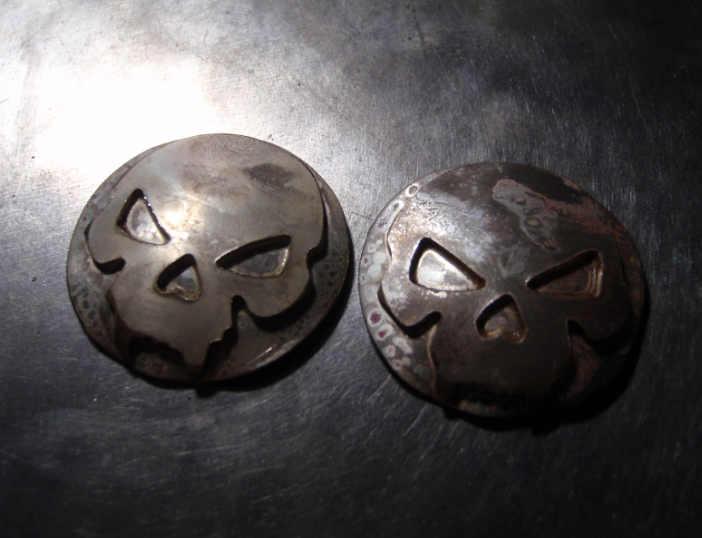 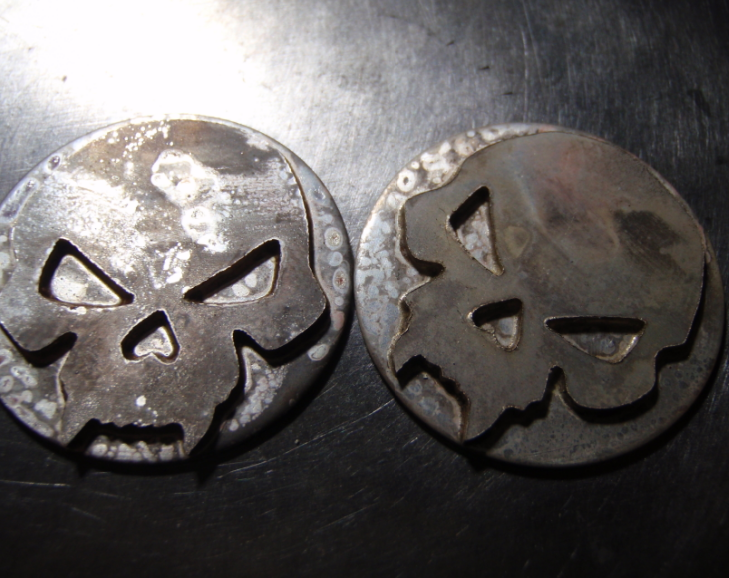 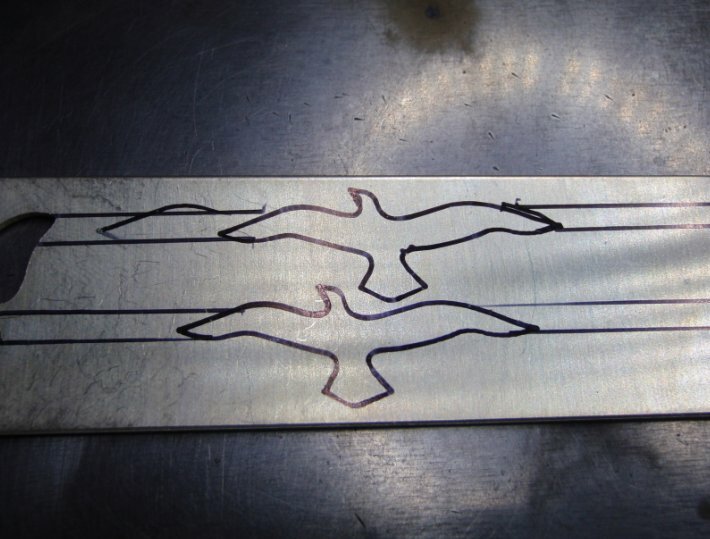 I am not very strong with my hands and that is the reason why I am using 20 gauge for my base plate, if I use anything thicker than that I would not be able to bend it anymore and would have to use the metal press. 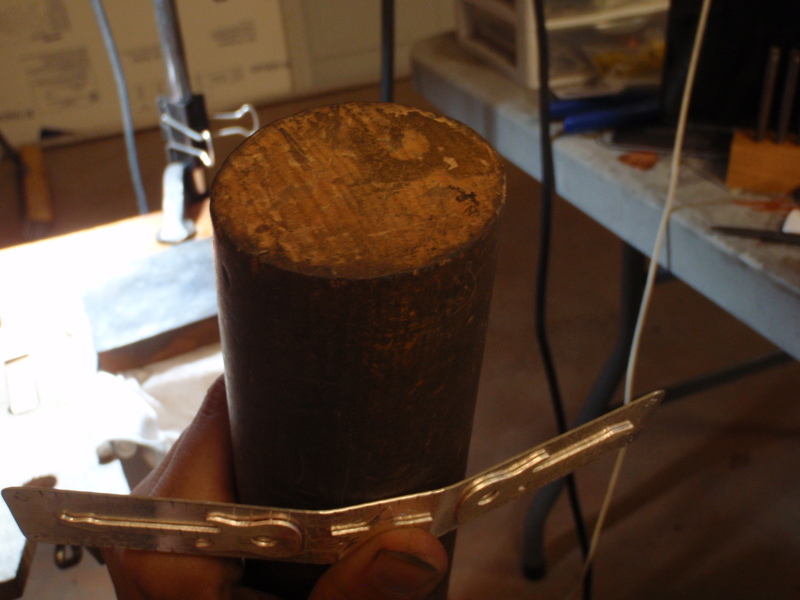 as you can see after pounding and bending you get a nice oval shape . 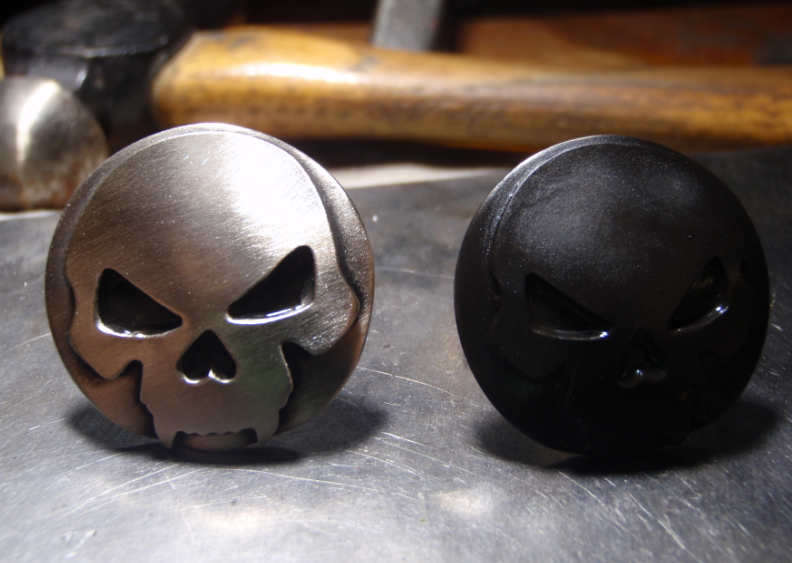 There are also round mandrels if you prefer a round look . 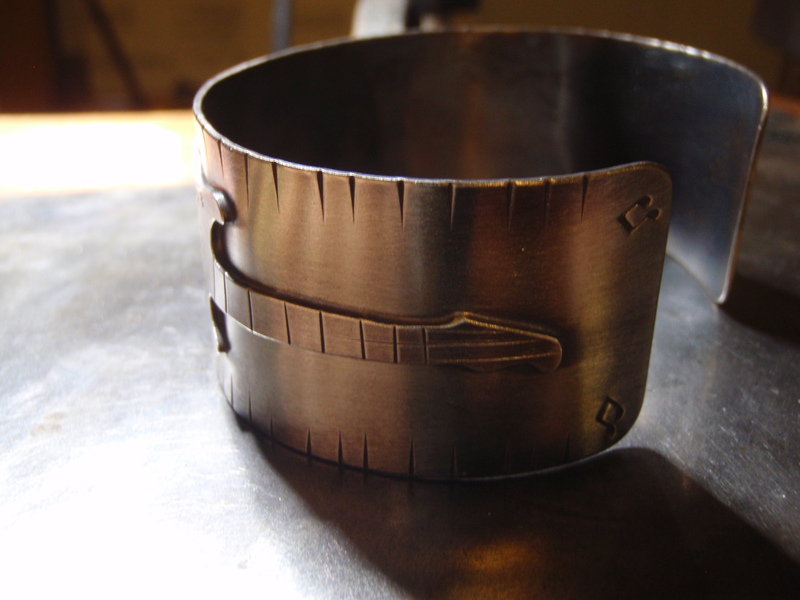 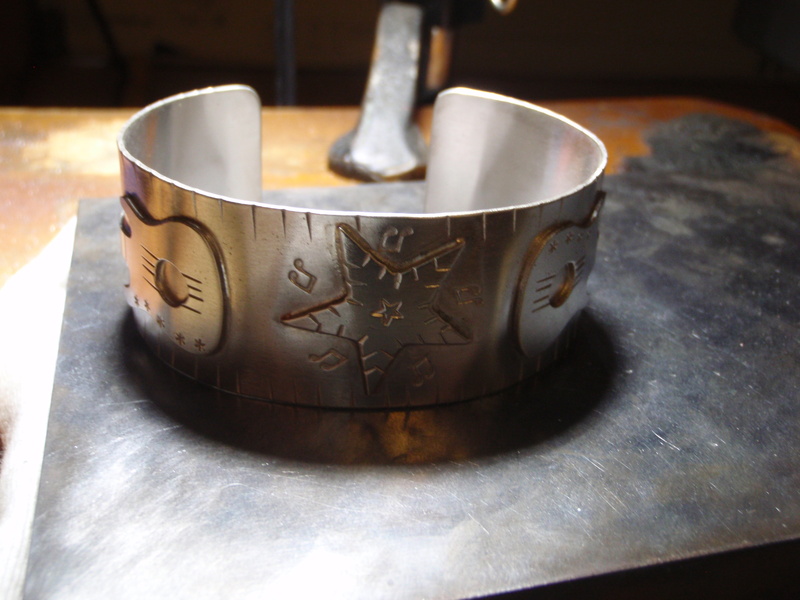 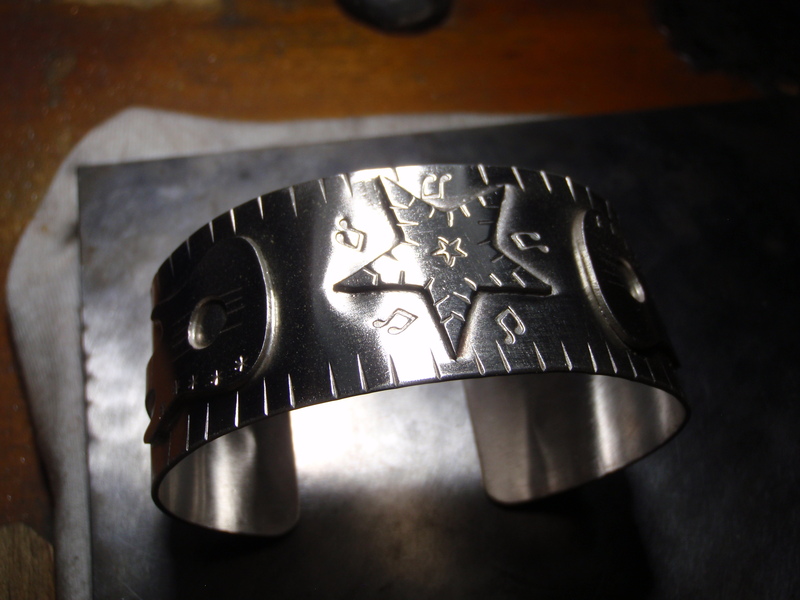 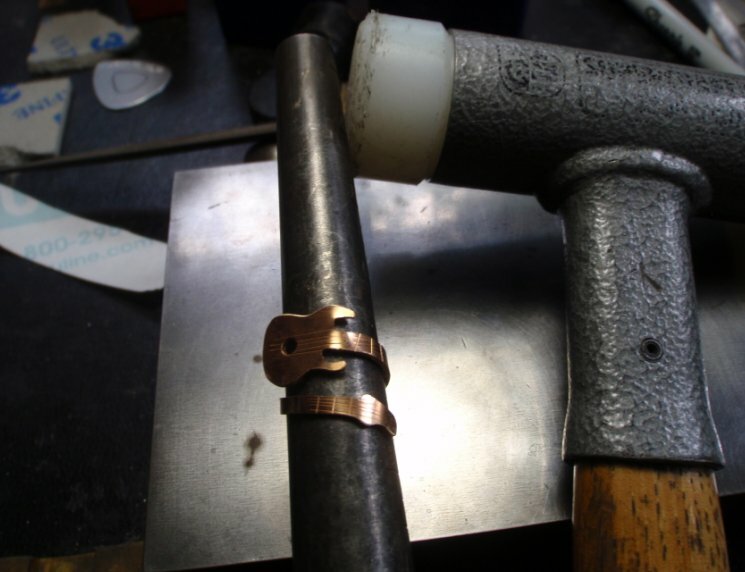 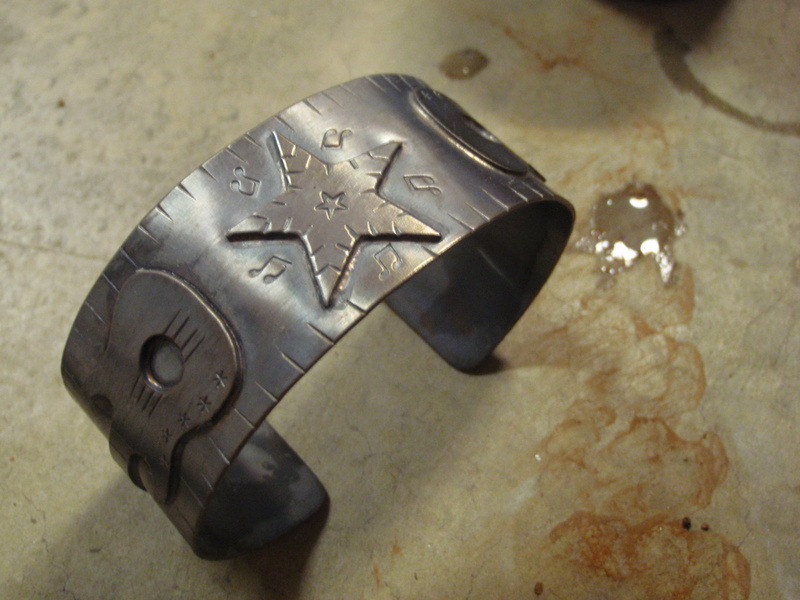 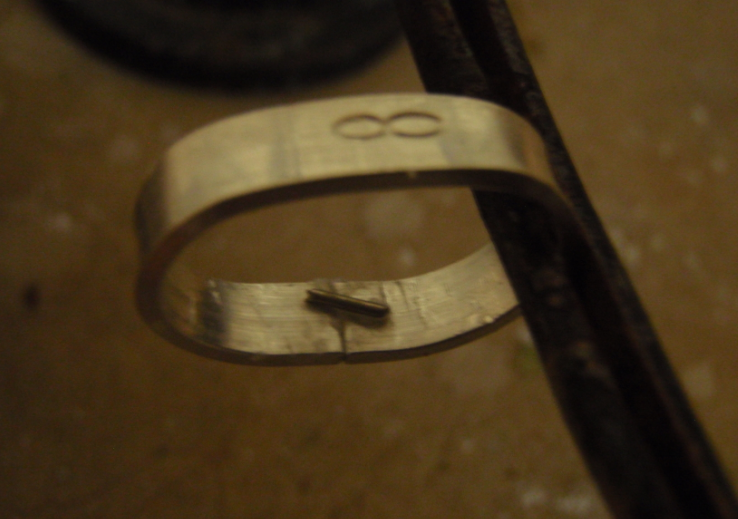 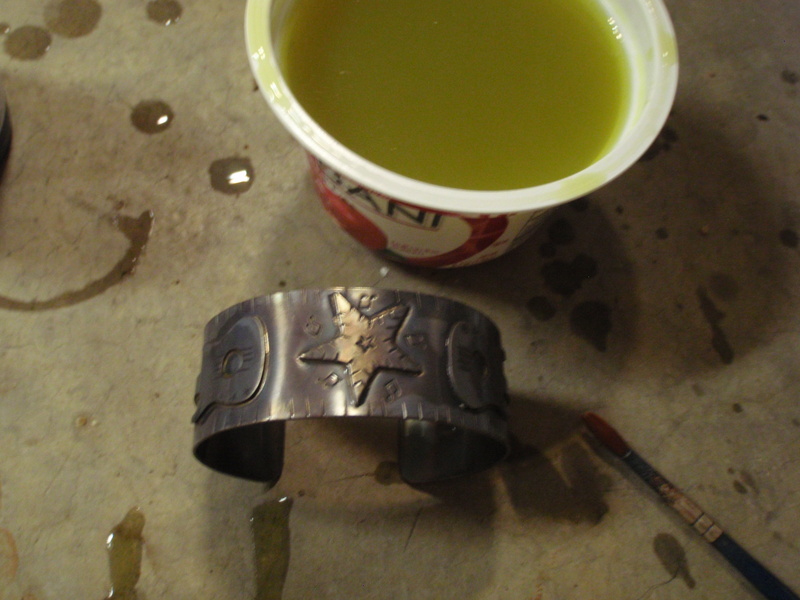 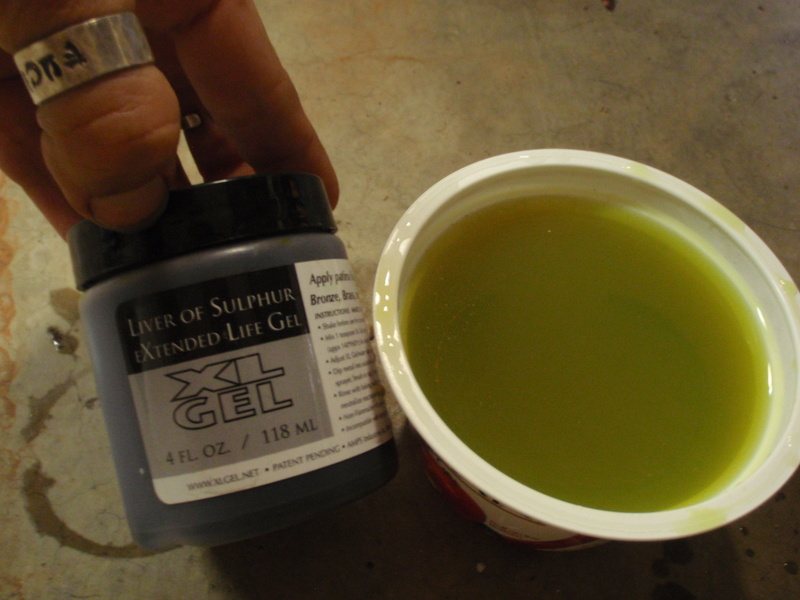 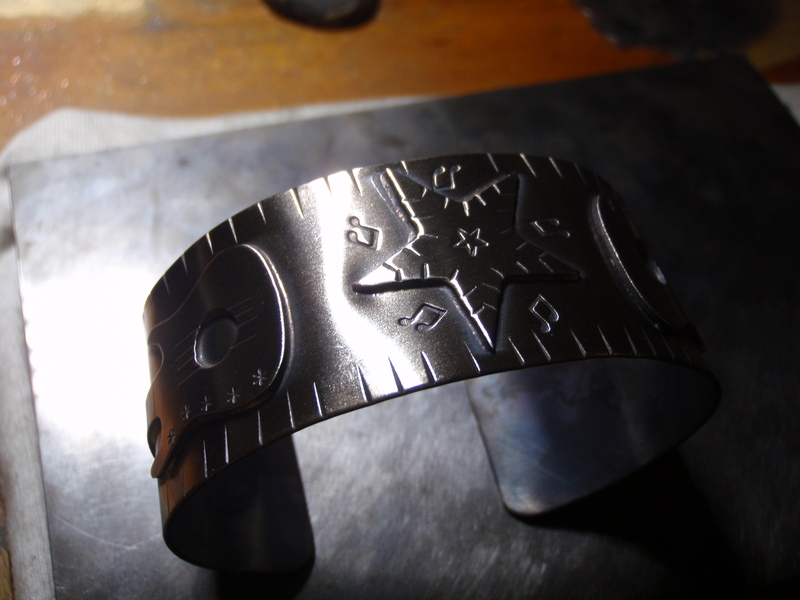 I run the bracelet through my polisher one time to clean the metal and prepare for the liver of sulfur patina . 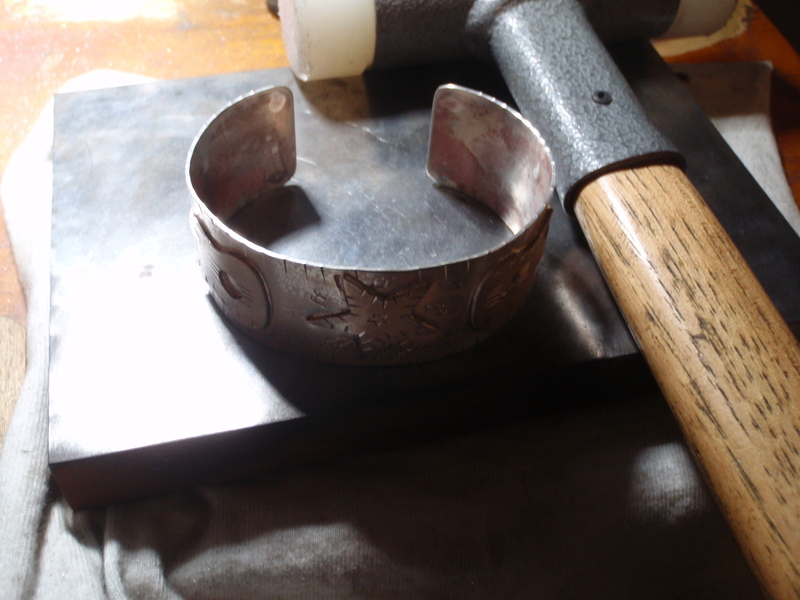 The cleaner the metal the nicer and more consistent your patina gets. 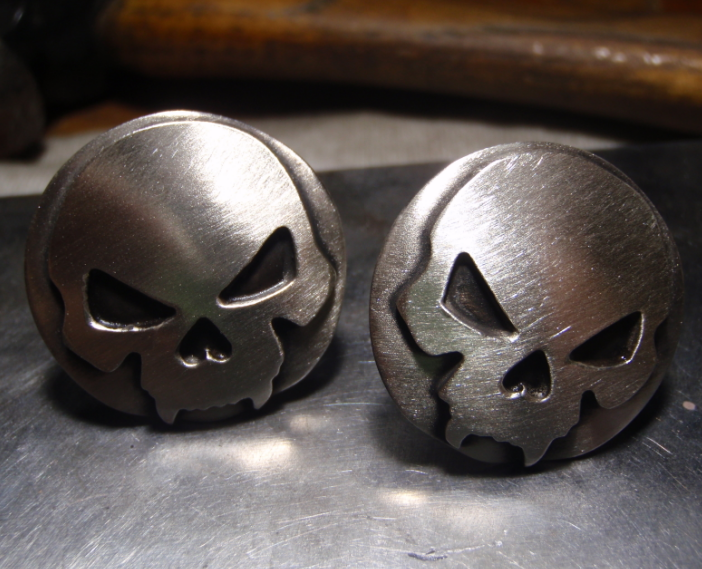 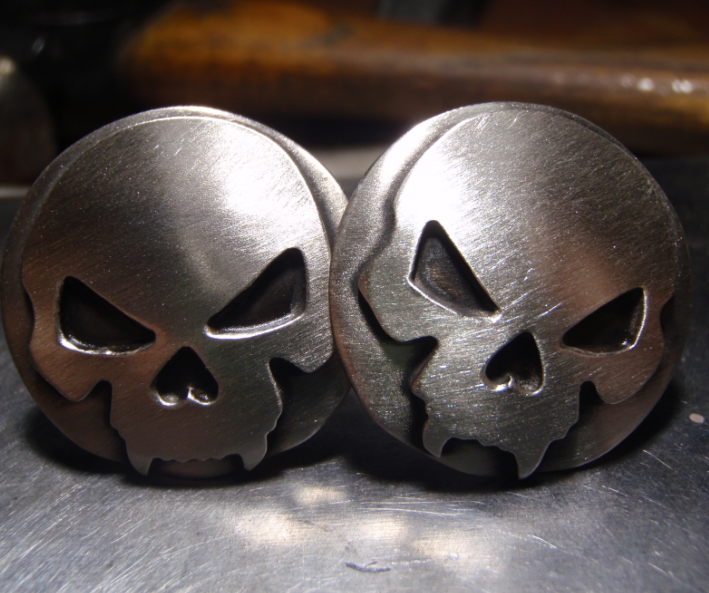 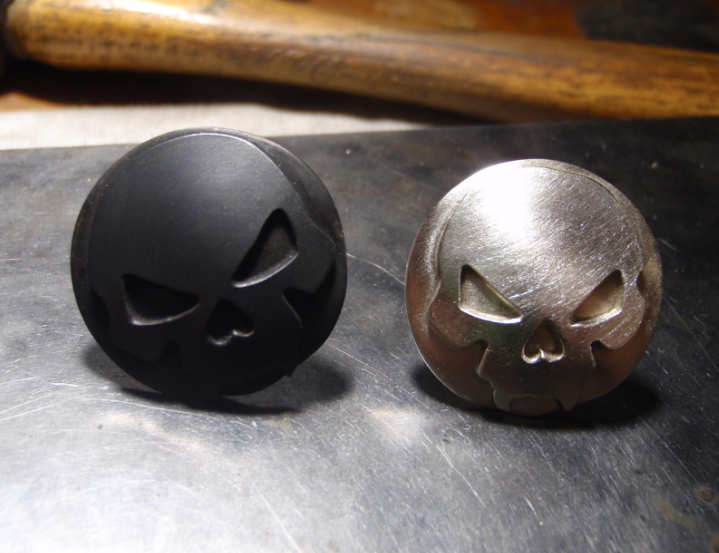 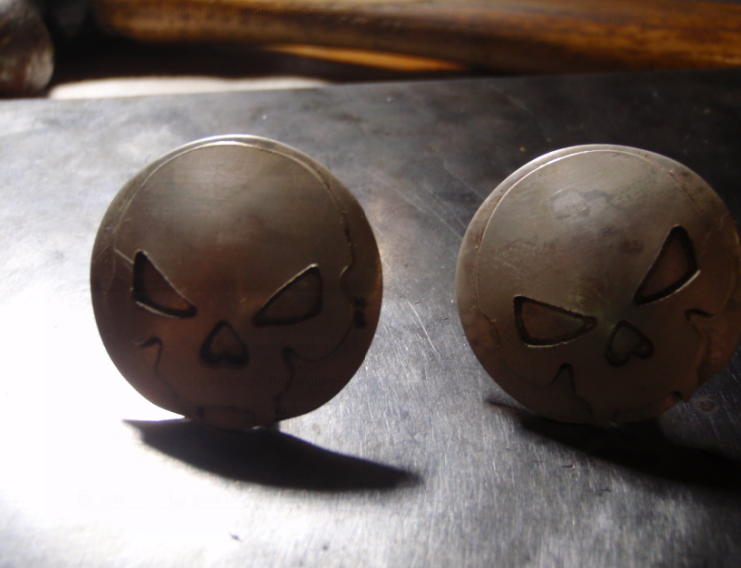 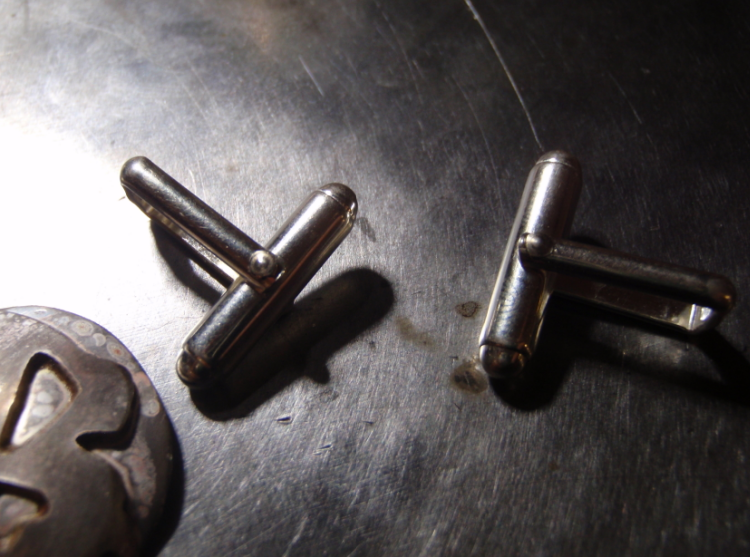 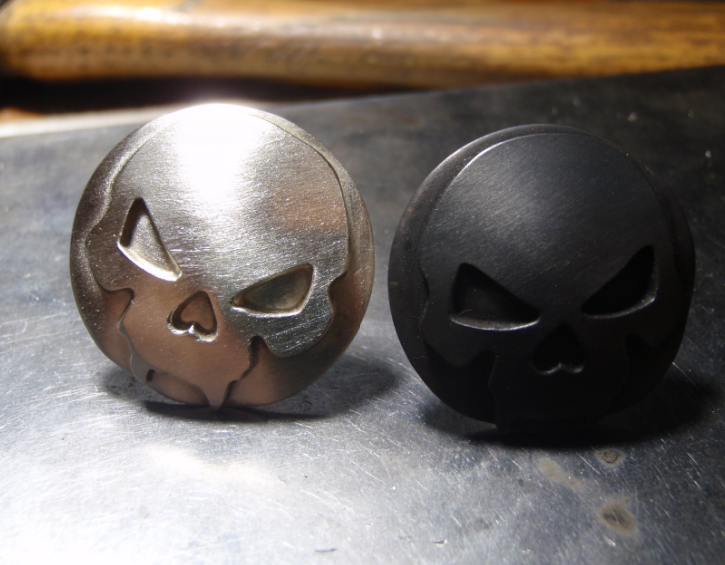 now if you want to you can stop before adding patina and leave your cuff links like that ,nice and clean and in a ” raw” state ,or you can add patina and leave them all black or……….